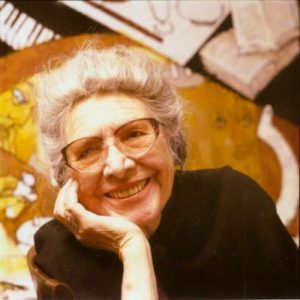 Esphyr Slobodkina (1908-2002) is a celebrated abstract artist and author of the children’s classic Caps for Sale. A founding member of the influential American Abstract Artists group in 1936, Slobodkina and her colleagues helped pave the way for the acceptance of abstract art in the United States and translate European modernism into an American idiom. 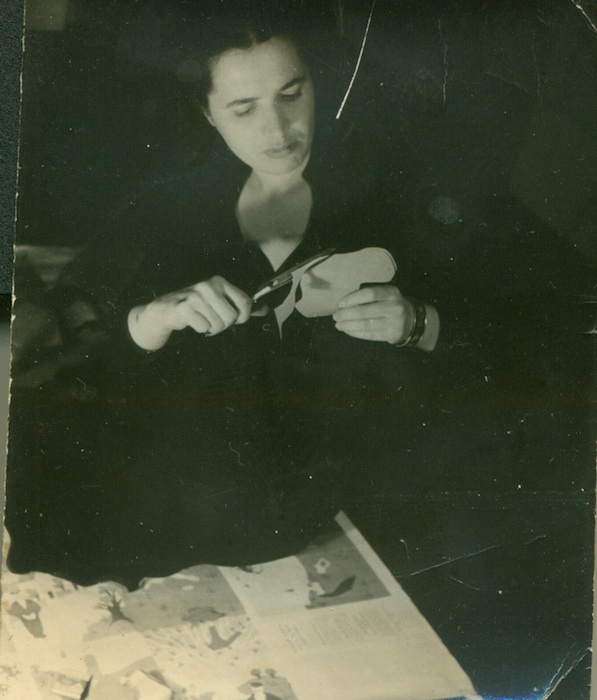 Slobodkina was also a successful children’s book author and illustrator, first collaborating with Margaret Wise Brown on several stories before publishing Caps for Sale in 1940. 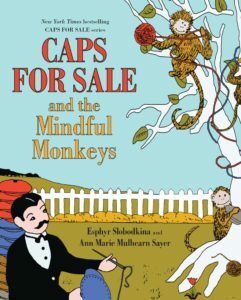 In print for over 70 years, Caps for Sale remains a best-selling storybook that is beloved by generations of readers. Slobodkina’s fascinating life story, which intersects with the tumult of the Russian Revolution and the development of American modernism, has gained attention in recent years as scholars revisit the birth of American abstraction. Esphyr Slobodkina (pronounced ess-FEER sloh-BOD-kee-nah) was born in the Siberian town of Chelyabinsk on September 22, 1908. She grew up in Harbin, Manchuria (China), where she studied art and architecture. She immigrated to the United States on a student visa at the age of 19 and enrolled at the National Academy of Design in New York City. Avenue Cubists:” George L.K. Morris, Suzy Frelinghuysen, Charles Green Shaw, and A.E. Gallatin. 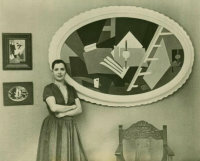 In 1940, Gallatin, who owned two of her works, organized her first major one-person exhibition at his influential Gallery of Living Art. During this period, Slobodkina met children’s book author Margaret Wise Brown. In preparation for an interview with Brown, Slobodkina presented a series of innovative collage illustrations for a children’s book she wrote called Mary and the Poodies. Brown and her publisher found Slobodkina’s abstract collage style refreshing and new, and subsequently hired her to illustrate The Little Fireman (1938). Possibly the first American children’s book to be illustrated completely with cut-paper collage, the Little Fireman was later deemed “the apogee of modernism in a picture book” by Barbara Bader. until 1955. Her second book – Caps for Sale – published in 1940, has sold more than two million copies and has been translated into more than a dozen languages. Today it is considered a classic. In the last years of her life, Slobodkina displayed little sign of slowing down. While continuing to produce art, Slobodkina wrote an 1100-page autobiography and designed and oversaw the construction of the Slobodkina/Urquhart Children’s Reading Room in West Hartford CT. She was 75. At age 88, Slobodkina purchased and redesigned a home in Glen Head New York, founded the charitable Slobodkina Foundation, and gifted the house and the remainder of her art to provide enrichment and educational programs under the Foundation’s umbrella. At age 90, she designed a mini-museum at the Slobodkina house, as a place where guests could view more than 500 works of her art, handmade dolls and jewelry, and the complete collection of Slobodkina’s children’s books, including some original illustrations. Home to Slobodkina, her assistant, Ann Marie Sayer, and Slobodkina’s sister, Tamara Schildkraut, the large house functioned as a residence, mini-museum, and a reading room for children and scholars until 2012. At age 91 Slobodkina formed the charitable Slobodkina Foundation, which today engages in educational programming while preserving the legacy of Esphyr Slobodkina’s prolific, multifaceted career. Slobodkina’s successes as an artist continued until her death in late 2002. Slobodkina lived her senior years freely and fully, hosting numerous parties and overnight get-togethers with close friends, entertaining family and the hundreds of guests who came to the Slobodkina House to meet the legend and enjoy her art. 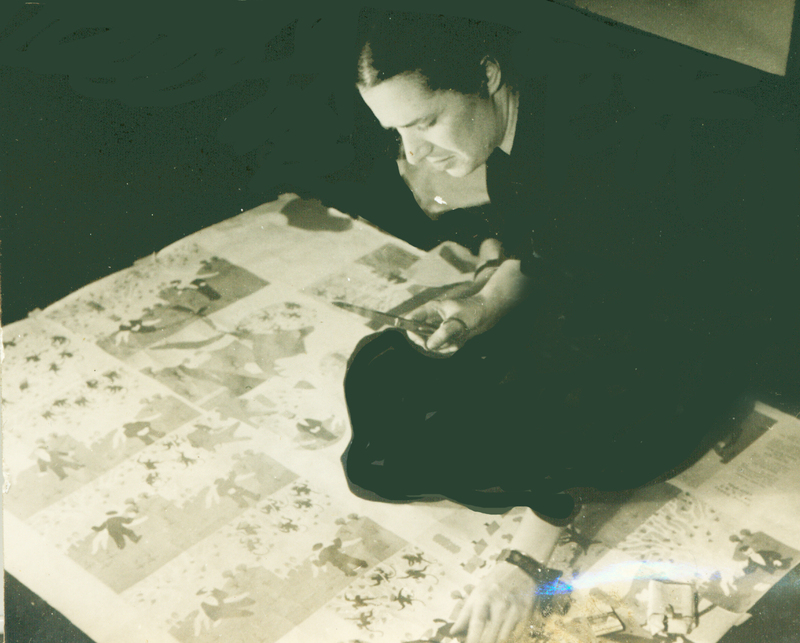 Esphyr Slobodkina continued to produce art until shortly before her death on July 22, 2002, just before her 94th birthday. She is remembered for her unconventional artistry and independent disposition, which places her ineluctably among the female pioneers of the 20th century.